Emotional support animal fiascos seem to be at the peak this year. For instance, a giant emotional support peacock was denied flight by the United Airlines in January. The airlines claimed that the peacock failed to meet the stipulated policies regarding emotional support animals (ESA). It is no secret that persons suffering from mental health disabilities are allowed to air-travel with their emotional support animals. However, airlines emotional support animal policies differ widely. Even though the law allows you to bring your ESA dog along, airlines enforce certain policies to improve and safeguard your travel experience. This article highlights the American Airlines emotional support animal policy. As explained in the Air Carrier Access Act, people with disabilities can travel with their ESAs for free. It means that no airline should deny you flight or charge you extra just because you’re traveling with your support dog. The emotional support pet should be small enough to rest on your lap, at your feet or under the seat. The ESA ought to be clean and well-behaved at all times. This is to prevent incidents of dogs behaving aggressively or trying to attack other passengers. In the event that your emotional support animal is too big, you can request bulkhead seating. Before boarding your flight, you’re required to present your ESA letter. This document should be dated no longer than 12 months from your planned flight date. Also, this document ought to be issued by a licensed medical health professional. 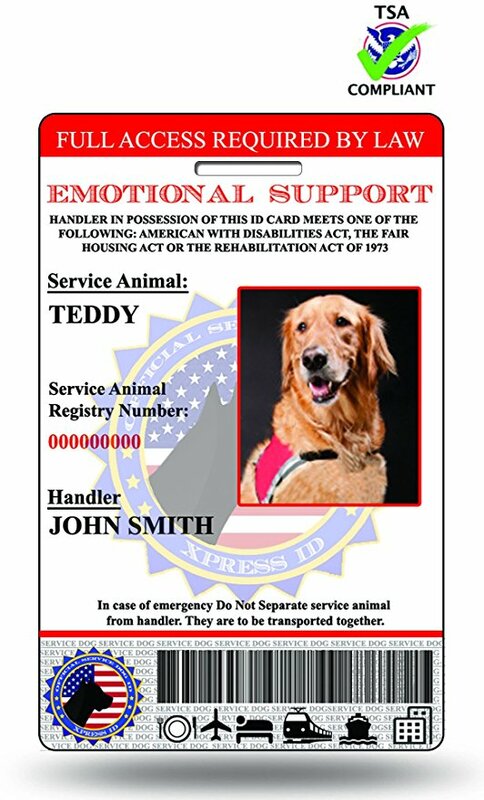 The specific mental or emotional disability necessitating the need for an emotional support animal. That your ESA needs to be on the flight you’re taking to offer you assistance either during the flight or at your scheduled destination. Your physician’s credentials- the line of work or mental health professional’s license. It should also highlight the date and the place where your doctor’s license was issued. To be certain that you qualify to bring your support dog onboard, you can fill out a form right here on our website. In the event that you or your therapy dog fails to meet any of these conditions, then your animal has to be checked and possibly travel in a kennel. Another thing that can put you on the wrong side of their law is failing to submit the required document 48 hours before your flight. Your ESA should be able to meet the travel requirements and quarantine restrictions put in place by the state of Hawaii. Unfortunately, emotional support animals are prohibited on flights run by British Airways for destinations that are not within the U.S. If you plan to fly with dogs and animals, whether they are service animals or ESAs, you should first notify Scotland’s animal travel agency via email. Furthermore, you need to submit this notification 48 hours prior to taking your flight. In the case of Japan, you’re at liberty to travel with dogs and cats in the cabin. But, you should inform their Animal Quarantine Service at least 40 days before your scheduled arrival. The Auckland flight does not permit any type of emotional support animals. However, dogs are allowed if they are trained service animals. It’s always wise to contact American Airlines before you book your flight. Even though you’re protected by the Air Carrier Access Act, courtesy demands that you contact the airline and express your needs. For example, if your emotional support pet is too big, they can make arrangements to move you to a seat with more space. They could even permit you to travel in first class for free. Forgetting your ESA letter can make things very complicated for you. Without this letter, the Airline attendants have no way of knowing whether you suffer from post-traumatic stress disorder as you claim. As long as you present this document, your legal rights will be upheld. If there’s an unruly person aboard a particular flight, the pilots usually make emergency landings. The same goes for emotional support animals that are not well-behaved. Remember that the safety of other passengers also matters so if your dog is acting aggressively towards them, the flight crew will take action. To prevent such incidents, ensure you pick friendly therapy dogs that blend well with crowds. Not every flight attendant is familiar with emotional support airline laws. American Airlines and other commercial airlines always brief their crew on the rules surrounding ESAs. However, you may come across an employee who’s not informed. If you do, explain the Americans with Disabilities Act and Air Carrier Access Act, and if necessary, show them the ESA letter. 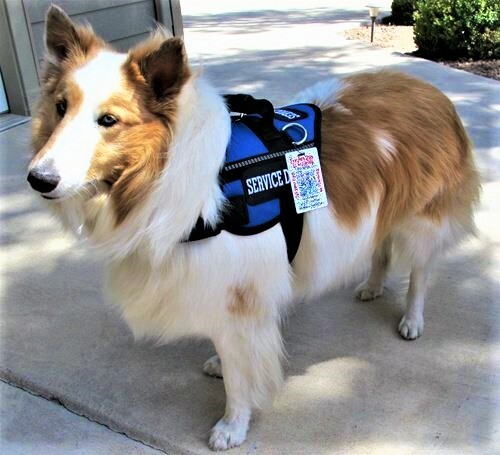 If you own an emotional support animal, you’re free to fly with him on American Airlines and other commercial airlines in the United States. No airline can charge you additional costs just because you’re bringing your emotional support dog along. Still, you’ll have to follow the American Airlines emotional support animal policy. For instance, your animal should not be too big that he can’t fit under your seat. He should also be mannered and well-groomed. On your part, you’ll need to bring an ESA letter from a certified medical professional and a filled application form, available on the company’s website.